Hawaiian knife maker Ken Onion told us he was working on the ultimate hunting knife, but it wasn't ready yet. We assumed that he meant he was putting the finishing touches on a prototype, and were we wrong! 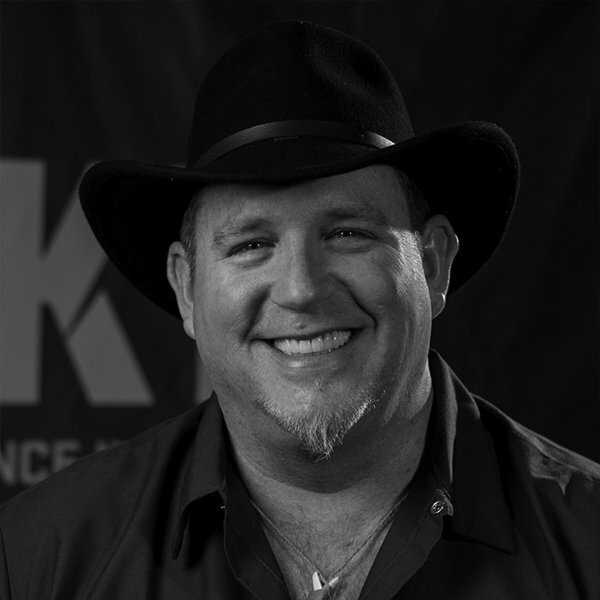 Instead, Ken was concluding an extensive field testing program spanning more than five years, making dozens of custom skinners and giving them to Alaskan guides, professional hunters, and taxidermists in exchange for their feedback. He kept modifying the design and sending out more knives, which have now been used to skin over 60 Alaskan bears, and have been proven on deer, elk, moose, antelope, hogs, sheep and cattle. 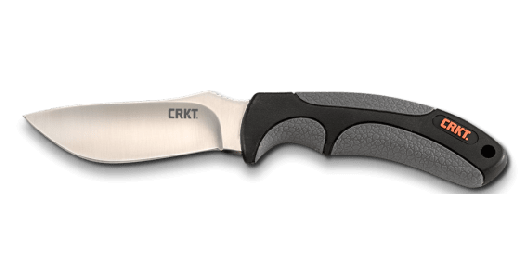 While some were skeptical at first, it has become the favorite knife of many of the top guides. It also works well for skinning, gutting, deboning, the fine detail cuts preferred by taxidermists, and even kitchen and camp chores. We call it simply the Onion Skinner™. 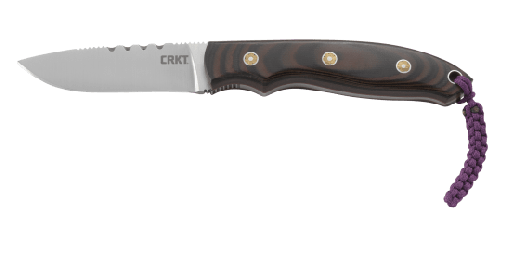 It features a three-quarter tang Bohler K110 stainless steel blade, high hollow-ground and polished to a satin finish, with a hardness of HRC 58-60. The scales are Twin-Fused™ with a glass filled nylon core and soft textured TPR outside for grip. A lanyard is included. The custom leather sheath is molded and fitted to grip the scales and lock the knife in position until needed. It can be worn left or right, inside or outside the belt. First, the knife has a thin tip, with a slightly convex grind near the tip that minimizes drag. No caping knife is needed for detail work. Second, the top of the blade has a pronounced "camel hump". This allows the hunter to insert the tip under the skin and rock the hand back, which raises the tip up and away from the paunch. Third, the tip has a straight section at an offset angle. This makes the knife a useful utility and cooking tool around camp. Fourth, is the short 3.75" blade length. This is just the length of the average finger, which has proven perfect for the pencil grip favored by many hunters. 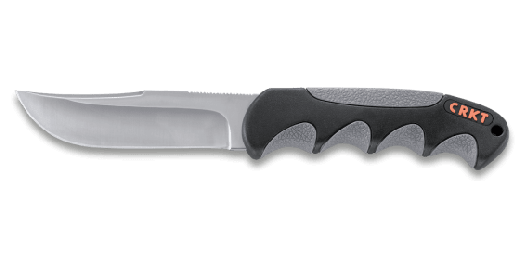 Finally, the Onion Skinner features a handle which has a deep finger choil, which greatly improves grip in slippery conditions. The thin cross section allows for less obtrusive carry while still locking in the fitted sheath. So here is Ken's ultimate skinner. Field-tested for five years, and finally ready for production and your own field test.